Ranger Dylusions DREAM Dyalog Cover dyt60574 at Simon Says STAMP! dyt60574 This item is on reserve until If you would like to reserve this item now, you may purchase it now with the rest of your order. We will hold your order now and ship your entire order as soon as this item is back into stock. If you would like your order to ship now, please place this item on a separate order. 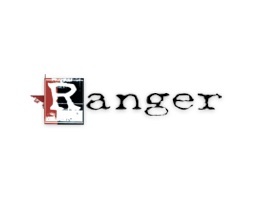 Success, Ranger Dylusions DREAM Dyalog Cover dyt60574 has been shared! Organize your life in style with the Dylusions Dyalog system. Dyalog Covers, featuring original artwork by Dyan Reaveley, offer a stylish way to keep all your Dyalog Insert Books, Pocket Inserts, and more in one convenient location. Two interior elastic bands help keep your inside elements secure while also giving you the ability to change books easily. The outside elastic band helps keep the cover closed. Dyalog Covers measure approximately 5.875 x 8.75 inches.